Regardless, rather than cultivating a society of vibrant, healthy and energized individuals, we are seeing record high numbers of individuals fighting fatigue, and directing their valuable energy resources toward simply managing life with a chronic condition. 133 million Americans — more than 40% according to the National Health Council suffer from one or more chronic health conditions. This despite the fact that Americans pay considerably more in health care per capita than citizens of any other country on earth, according to a recent article in the LA Times. Perhaps the most troubling element is the apparent lack of understanding among the medical community about the causes and solutions for chronic fatigue syndrome: “Because the cause of chronic fatigue syndrome remains unknown, there is no way to prevent it.“ — reads one webpage from Harvard Health Publishing. This is just one of many reputable sources that seem to throw in the towel when attempting to decode the complexity of such conditions. 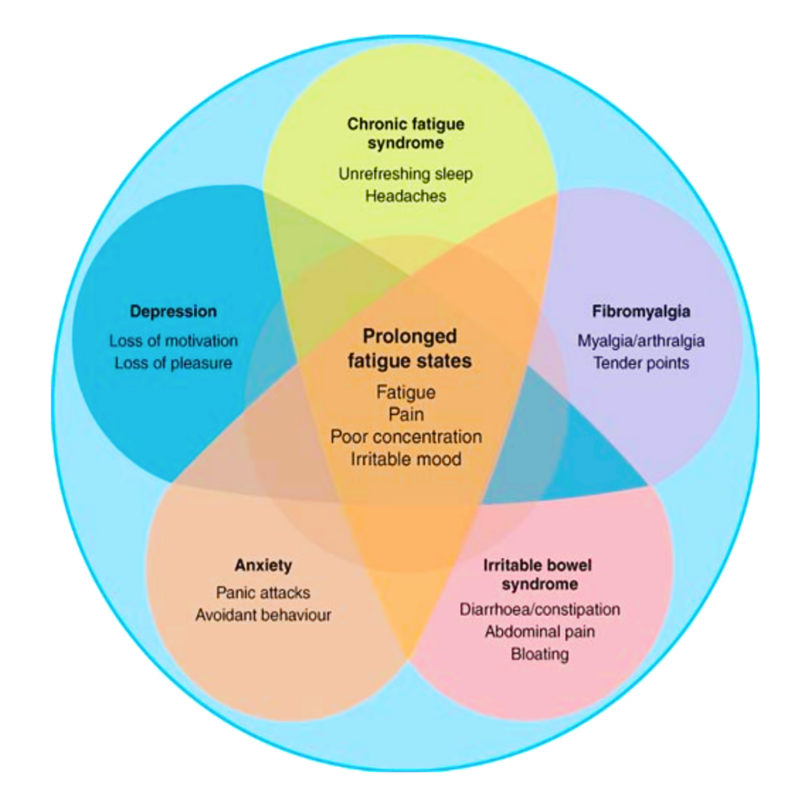 Unlike a common cold or flu, which has a single pathogenic cause and a relatively clear pathology, chronic fatigue tends to set in over time due to a multitude of factors — many of which likely will remain unknown as there is a huge amount of bio-individuality and individual circumstances that come into play. These circumstances will determine how symptoms are presented which can vary greatly from case to case. But just because an ailment is complex in its causes, doesn’t mean that we can’t understand what’s happening in the human body on a systematic level. Perhaps by reasoning from first principles, we can uncover some answers that have previously gone overlooked. Intense muscular activity ranging in duration from 0~10 second requires CP (Creatine Phosphate). 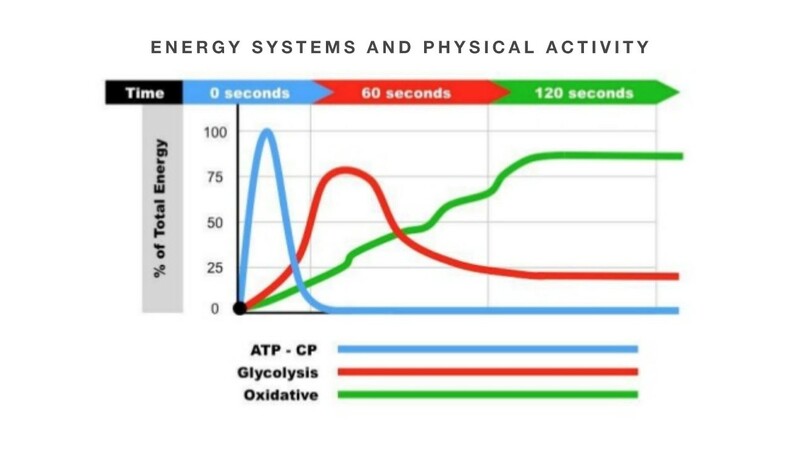 Lower level, prolonged duration activities such as cross-country running, shifts into the aerobic system which uses oxygen to catalyze the appropriate reaction for fuel supply. If we can use this knowledge to produce elite athletes who operate at the very highest level, why can’t we apply these principles medically and help millions to regain their baseline level of energy and health? Mitochondria are miniature energy factories found in almost every living cell in your body. Besides energy production, mitochondria serve other important roles, such as calcium regulation and cell death. To get a better understanding, think of a string lights. If a couple bulbs goes out, you probably won’t notice a difference. If the string burns out, however the room goes dark. Luckily your cells have numerous mitochondria within the cell for exactly that reason. ​The cells that rely upon mitochondria the most are the heart, brain, muscles and lungs. Can you imagine what it would feel like if these vital organs and tissues had less energy? Would you be able to think clearly? Have enough energy to walk up a flight stairs? Get winded faster? Mitochondrial dysfunction systemically affects the body, resulting in a wide range of symptoms and conditions. The human body is what is known as a cybernetic system — No, we’re not talking about the model T-1000 here, it means that we are systems comprised of further systems. Why is this important? We’ve already mentioned the cardiovascular (aerobic), glycolytic, and CP (creatine phosphate) systems above and how each of these systems requires special fuel. Now imagine that each of these macro systems relies on a microsystem of energy production, namely what goes on in the mitochondria. If this fundamental system of energy production is not functioning up to par, then nothing else can be. NAD stands for nicotinamide adenine dinucleotide, which is the chemical term for a molecule that reacts with oxygen in the mitochondria in every cell of your body in order to create energy so you can move, breathe, pump blood, digest food, think, and generally, live your life. — Lack of this essential cellular fuel is now recognized as a key feature of chronic fatigue, apathy, depression, anxiety, alcohol and drug addiction, weak immune system (infections and cancer), muscle pain and weakness, headaches, memory disturbance, sleep problems, focus and concentration defects and other chronic diseases. NAD deficiency may be an unrecognized epidemic of cellular disease. NAD is an essential building block in cellular energy production. Without a sufficient supply, the mitochondria cannot adequately convert the nutrients from the foods we eat into usable energy. As we age levels of NAD naturally begin to decline. But this decline is often accelerated when subjected to long-term stress, poor sleep, lack of quality nutrients, and use of drugs or alcohol. Like with any fuel or substrate in the human body, stores of NAD must be replenished when depleted. Pushing yourself to be active, or to focus and concentrate when you don’t have adequate fuel in your tank, or an adequate means of converting your food into fuel is sure to lead to sluggish and impaired performance. Of course, we can never neglect that natural means of caring for ourselves and topping off our energy supplies as best we can via quality sleep, nutrition, and mitigation of stress. But even with these areas of life covered we’re living in a world with wifi, email, endless demands and digital distractions. Hence the need for supplements such as Nadovim®. Nadovim is one of the only supplements on the market that uses NAD+ as the main ingredient, along with enhancing nutrients and botanicals. 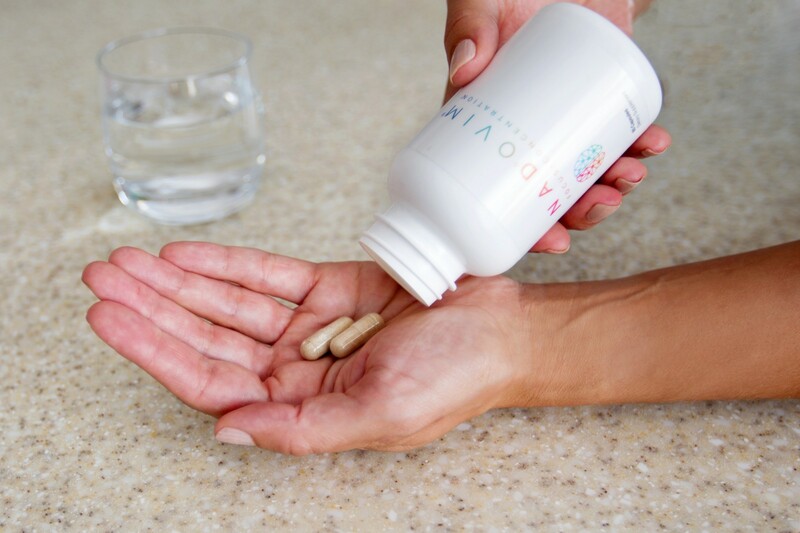 In a study performed by Georgetown University Medical Center, 72% of patients with chronic fatigue syndrome reported positive improvements when taking 10mgs of NADH daily. Additionally, an article published on Science Directexpressed that, “Researchers from Spain found that CoQ10 plus nicotinamide adenine dinucleotide (NAD) supplementation for 8 weeks is safe and potentially effective in reducing max heart rate among chronic fatigue syndrome patients.” — This serves to demonstrate the multi-systemic effects of enhancing energy efficiency from a fundamental cellular level. Nadovim delivers 200 mg of high quality NAD+ and 33 mg of CoQ10 along with 6 other active ingredients per serving (2 capsules). There is a lot of excitement at this time surrounding the applications of NAD+. From improving systemic fatigue to symptoms of withdrawal, to neuroprotective and even cognitive enhancing benefits, it seems we’re just scratching the surface of what this miraculous molecule can do. It always behooves us to take as best care of ourselves as we can. Adding a supplement such as Nadovim that works on such a fundamental level of energy production, may greatly enhance the benefits of our efforts.